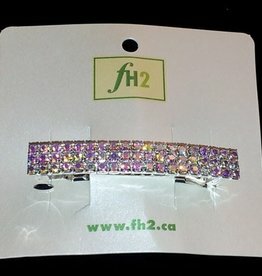 Hair barrette with three rows of beautiful AB stones for a sparkly iridescent look. This barrette goes with every costume. 3 Row crystal hair clip adds instant sparkle to any dance costume. Fastens securely to dancer's hair.